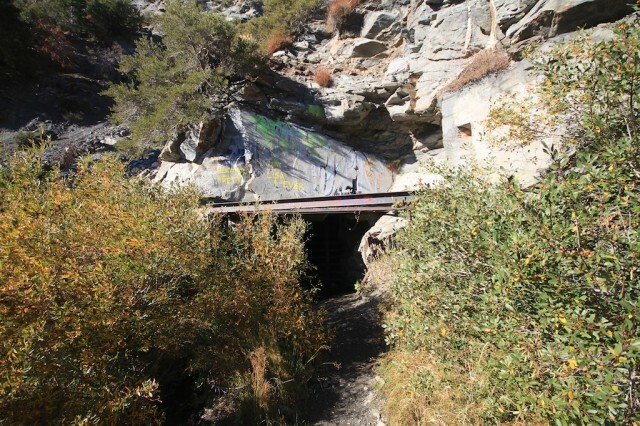 The hike to the beautiful and rugged Big Horn Mine has been on my radar for a long time. I was able to complete it around October, right before Southern California snow rolled in. 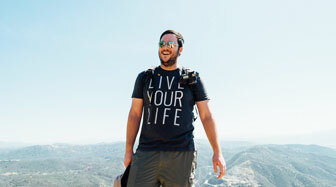 It is a great way to explore the backcountry and to take in a little history while you are at it. 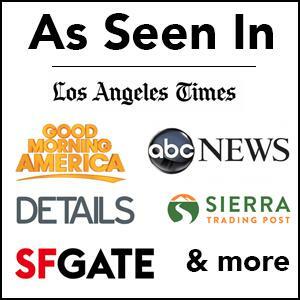 See below for the review of the four-mile hike that leads you to an abandoned mine. 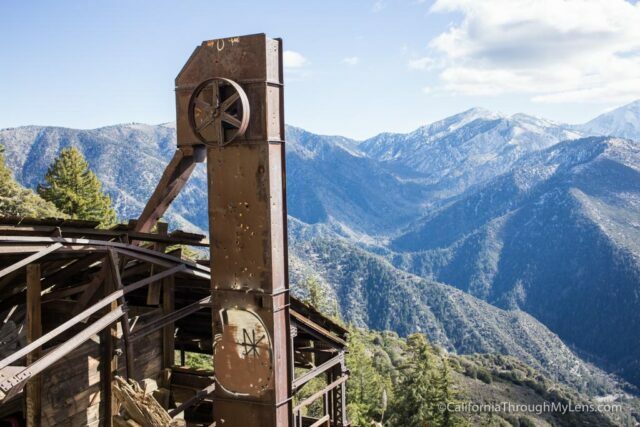 For the history of the mine you can peruse this guide, but here is a little synopsis. 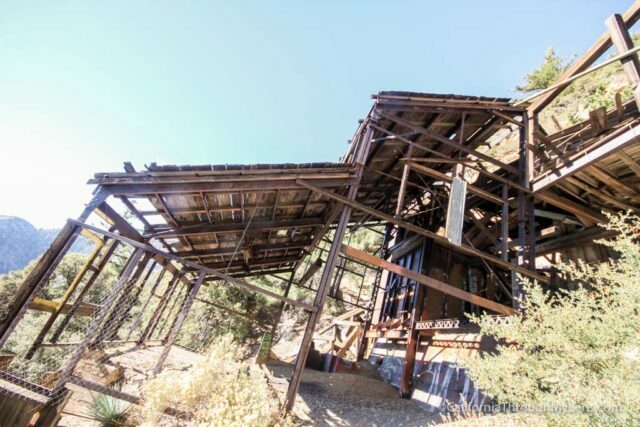 Local legend tells that Charles Tom Vincent originally discovered the mine when he was hunting big horn sheep in the area. 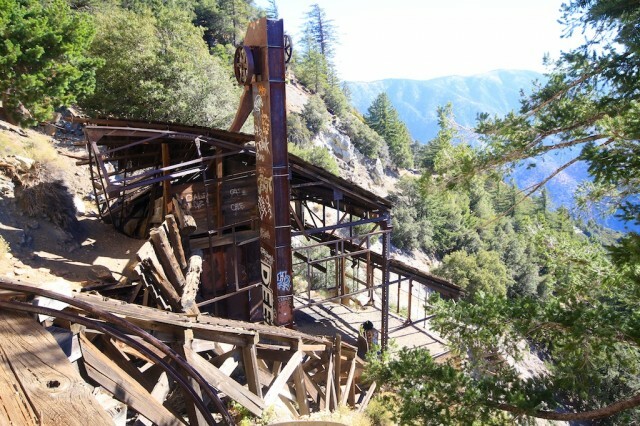 The mine itself started being created in 1895 and was to a depth of 300 feet and a distance of 1,200 feet in length. According to a couple of sources over 100,000 dollars in gold was taken from the mine. 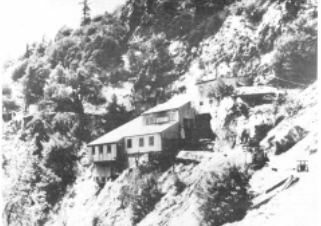 After that time the mine had varying owners over the years, one that created the wagon road that is used to hike to the mine currently. The trailhead is located in the Vincent Gap Parking Area. 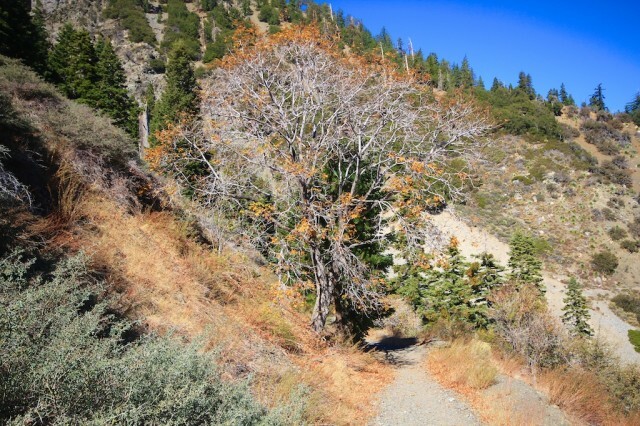 You can get there by heading on Highway 2 past Wrightwood, you will go up and past the Grassy Hollow Visitors Center. The road then heads down all the way to the Vincent Gap Parking Area on the left hand side where you would park to hike Mt Baden Powell as well. The hike itself starts from the aforementioned parking lot several miles past Mountain High ski resort. 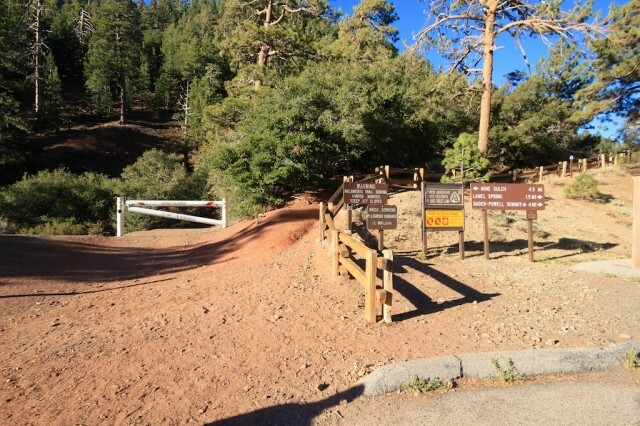 This is a general parking lot for many other hikes in the region, including Mt Baden-Powell. Be sure to take the road heading left because there are no signs for this particular mine. The road winds around for a quarter of a mile before it divides into two trails: one down and the other forward. If you want to see Vincent’s Cabin, head to the left; however, I would recommend you take a GPS and a waypoint because there are no signs and it is easy to miss. If you don’t want to see the cabin, then proceed on the right hand trail. It will take you all the way to Big Horn Mine. 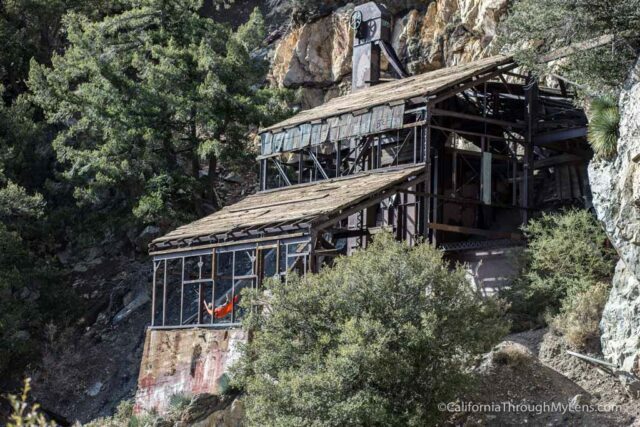 The cabin is a well-maintained piece of history and it is worth trying to find. The building itself has been well kept and has a lot of the original tools still hanging near the fireplace. When we were there we found a small piece of paper that told the history of this cabin. Look for that paper because it helped us to understand what we were standing in. My memory is a little fuzzy but I believe Vincent was a gold miner in Arizona and when some people came onto his mine he killed them because he heard they were stealing his gold. 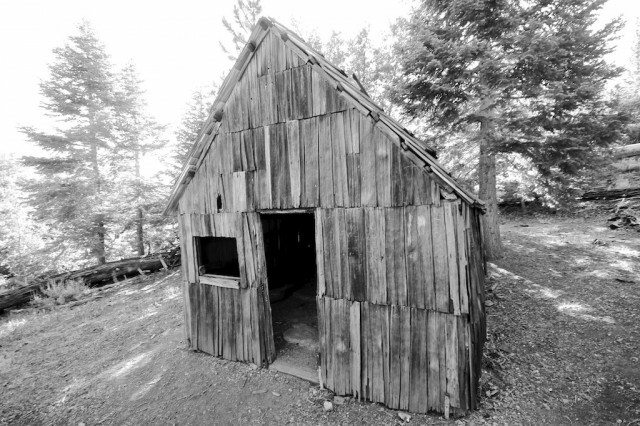 He and his friend fled Arizona because they were terrified and they arrived here where he lived in this cabin and worked in Big Horn Mine. The cabin is only one room, but it is fun to walk through and take pictures inside. 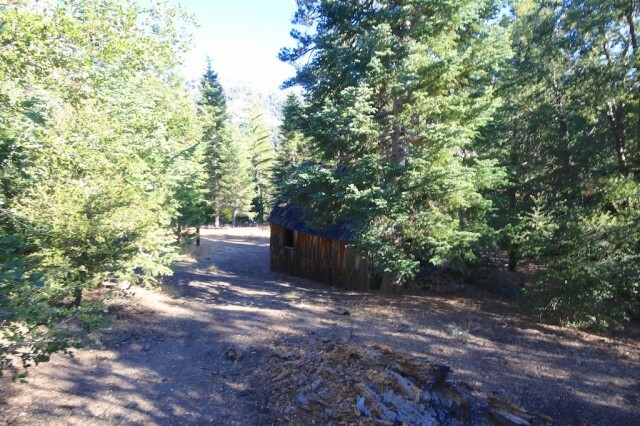 After seeing the cabin, retrace your steps up the hill to the original fork in the road. Continue walking down the main path for about 1.5 miles. You will be hugging the sides of the mountain and climbing upwards. The trail eventually empties out into a beautiful vista which shows the mountain on one side and the valley on the other. Continue a little father and you will pass a small mine outlet on your right hand side. 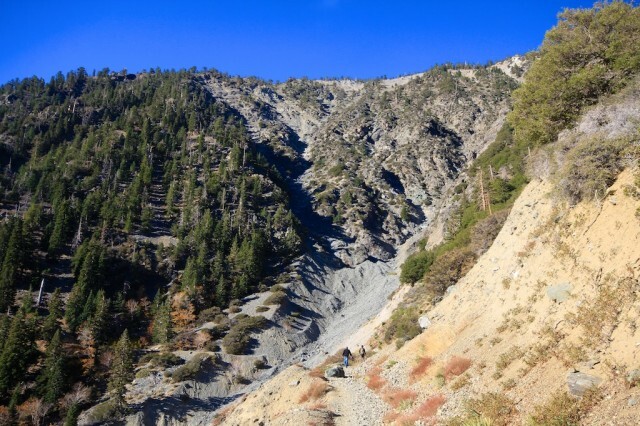 This is not Big Horn Mine — keep going! After you gain more elevation and round a bend you will see an open gate. 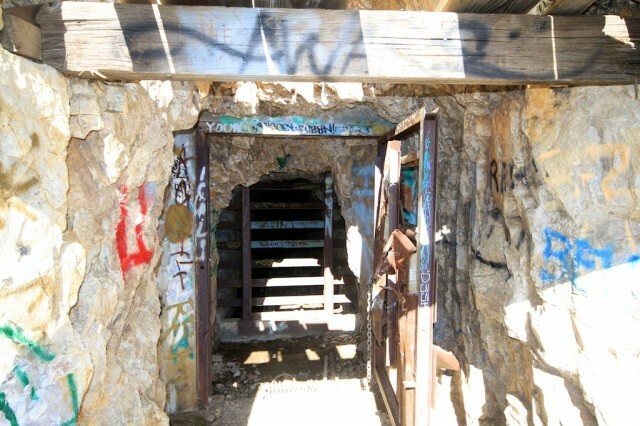 Proceed through the gate to catch your first glimpse of the mine. Feel free to explore the mine as much as you want. 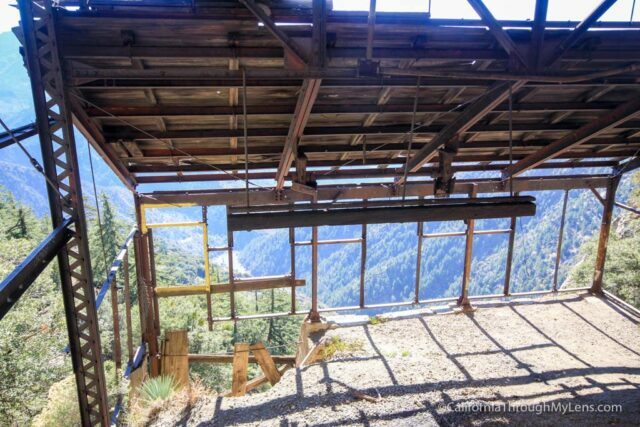 However, be very careful because the mine building is in disrepair and much of the wood and planks could break with pressure. This is a great place to admire the view and eat a packed lunch. If you want to see the entrance of the mine, you will need to climb up the broken wood from where you are standing. Keep in mind there are steel bars blocking the entrance to the mine though. This is where the path is the most unsafe and I would recommend only doing this if you are very careful. There is not much to see because the mine is completely closed off. However, you can get a nice view of the building from above if you do decide to risk the climb. After you have finished looking around and enjoying the scenery, simply proceed back the way you came. When I was here I saw at least 15 other people on the trail. This is also a good trail for older children because it is not too strenuous and they can see the huge mine building at the end. I would love to hear from you if you have been — let me know in the comments.